I grew up with Vangelis on the sidelines for many years, as we all did at that time, because of his Chariots Of Fire theme being everywhere and then Carl Sagan’s Cosmos show used parts of his Heaven & Hell. I was young and, while I knew there was a man behind the tones and atmospheres I loved, it wasn’t till years later that I made a concerted effort to get to know his work. 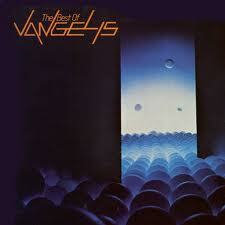 In the meantime Vangelis had been quietly influential from those early memories and reflected light in moments from other artist’s work like Pseudo Echo’s Destination Unknown with an intro that seemed to have lifted straight from the Cosmos soundtrack. 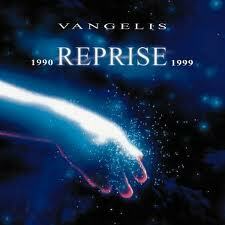 In a strange irony it was an advert for a bank that put me back in touch with Vangelis. It used a very interesting piece of music that was a mix of synths and strings and just stood out from music of the time. I asked my Father what it was as I thought it must be something Classical. He didn’t recognize the piece. A bit later I found out it was Conquest Of Paradise from the film 1492. I stored that, as I do, till I came across the compilation CD Reprise. I got into that record really well. After digesting the later work I purchased an earlier Best Of record to learn more about him. I remember having just purchased the used record and not having had time to listen, so seeing as I had to set up early in a QLD Rail cafeteria for a girl’s 18th party, I popped on some of the tracks. I’m sure she wasn’t blown away but I was. For The Unknown Man quickly became a favorite and inspired several of my tracks including En-Ribbed Traveler from 1st Campaign. While there have been some of The Big V’s projects I haven’t loved I have always admired his sense of vision and ability to take simple sounds and play magic into them. he seems to have a very organic way of composing. Sure he has his formulas but his style is always strong. His style is often emulated but it is easy to tell the real from the clones (my work included).